Melissa Clark is an author, television writer, college instructor and podcast creator. She is the author of the novels, “Bear Witness,” “Swimming Upstream, Slowly,” and “Imperfect”. Her essay, “Rachael Ray Saved My Life” is included in the anthology “The Cassoulet Saved Our Marriage.” She is also the creator of the animated television series, “Braceface,” starring the voice of Alicia Silverstone and Michael Cera, which aired on the ABC Family Channel. 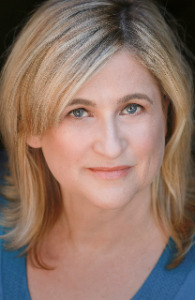 She has written scripts for “Rolie Polie Olie,” “Totally Spies,” “Sweet Valley High,” among others. Her episodic kids podcast, “Becoming Mother Nature” launched in September, 2018 and can be heard wherever you get your podcasts. Melissa teaches creative writing and literature courses and is available to speak/teach at festivals, conferences and book groups.